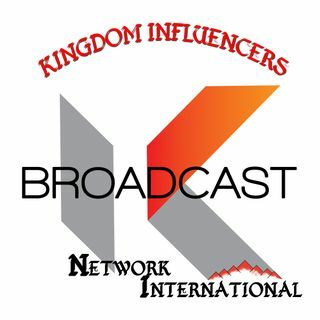 KIB is a network of individuals who are dedicated to impacting and influencing the 7 Mountains of Influence through equipping and educating others in the principles of God. Welcome Mighty Child of God!!!! This is a 42 Day International Spiritual Growth Campaign with Jesus in The Divine Alignment for the body of Christ. We will accomplish this through the bond of unity, drawing closer to God and sharing the love of God through acts of ... See More kindness, charity, justice, and generosity. The show will consist of biblical literacy and mentoring lessons for today's youth and those that may want to build their own comprehension using God's Word and other resources. Hope-in-Christ with Denise is a show where I share devotionals, encouragement, Christian book talks, interviews with Christian authors, Biblical study topics, youth mentoring topics, and more. All with Christ as the center focus! “In The Church” is a live, two-hour weekly talk show from D.O.R.M International that is produced every Monday night from 6:00pm – 8:00pm featuring Host Apostle Derashay Zorn and friends. It is the platform in which they will shine the light of God’s word “In the Church” to discuss and resolve real everyday issues that are taking place ... See More around the world exposes the good, the bad and the ugly. They will engage in a powerful conversation where they will share their opinion, expertise and reveal the truth in God’s word on every topic imaginable. The hosts will engage the audience in the discussion by taking live callers and interacting with comments, questions, and prayer. Kingdom Walk Broadcast is a time of releasing divine revelations and strategies on walking out the word of God in our day to day living. It is the unfolding of how to apply the word of God in our day to day living. We believe that as children of God we can walk out the word of God, just as Jesus did. He who says he abides in Him ... See More ought himself also to walk just as He walked. Connect with me @(316) 393-9465. Sign up on Spreaker. Join Us in the CHAT ROOM to leave your comments. .follow us to get real talk. Let's Talk to the Lord Gospel Radio will discuss how society issues relate to biblical theology. Your Host is Minister John Ross of The Omega International Prophetic Ministries in Wichita, Kansas. ... See More To be a guest call (316) 393-9465. B.O.S.S. Conference 2017 is the perfect place for you to Build on Success Strategies. It is the destination for you to awaken your dreams, Arise in purpose and Accelerate your vision!!! You were designed to shine and light up the world with your unique and creative gifts and talents. However, you have been hidden because of fear, ... See More uncertainties, lack of direction, life situations, etc. We have designed a conference to equip you with tools to shine and breakthrough to your next level of success. Let me not forget as a B.O.S.S. Conference registrant you will receive a FREE 12-month membership into the Kingdom Consortium Network where you will have access to high impact coaching calls, mentors, special events and a supportive network of individuals helping others to Awaken, Arise, & Accelerate in their Purpose, Power, and Profitability. In the Scribes' ... See More Hangout, get first-hand information on the process, strategies, tips, and tricks to writing. Get into the mind of the scribe as we discuss their project. Be in the know about new releases and what's hot in entertainment at the Scribes' Hangout. Come out to meet, greet, and connect as we hang out with the scribes. Soul Speaks Poetry Corner is show designed to encourage believers through poetry and expose individuals around the world to some amazing poets. The Teens Network Daytime Show is a variety weekend morning radio program hosted by Dedayo Adeloye, and his cast includes Precious Obot. The Teens Network Daytime Show is an educational platform that helps teens get informed, inspired & entertained. The show will be used more widely to inspire a new generation, and will feature ... See More the audience participation in games where prizes will be awarded, the show also will feature extraordinary & talented youngsters, The Show was first launched on January 25, 2016. Walk In Purpose with Angela is a show to inspire others to walk in their purpose according to God's word. Angela is providing tips and inspirational moments to help others walk in their God-ordained purposes. Join the Walk in Purpose family to obtain what is required to walk in purpose and be inspired by individuals around the ... See More world who tell it all or how they transitioned from walking in pain into purpose.